In nature, Carpenter ants are beneficial insects. They chew up wood, break it down and turn it into sawdust helping eliminate old decaying wood. They are found throughout the United States and especially in Central Texas. Though beneficial in nature they can cause havoc on our property. Identification can be easy if you know what you are looking for. They are typically red in black in color or solid black. They range in size from a ½ inch to nearly and inch in size. Carpenter ants live in large colonies. They may be found trailing inside our outside your home. A common sign of Carpenter ants is finding frass. Frass is the waste product ants produce from feeding on wood. It is usually piled near nest sites. The sawdust-like material contains fragments of chewed wood, feces and small pieces of soil and gravel. You will likely find frass around window seals and near baseboards. 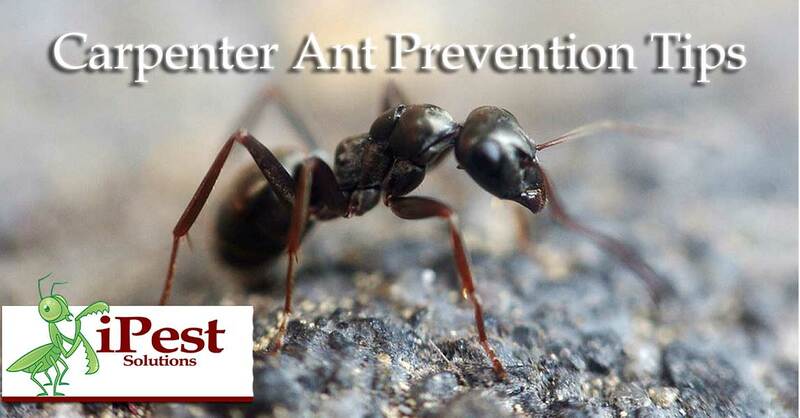 Helping eliminate conducive conditions can help prevent carpenter ant infestations. Inspect home for branches touching roof. Any branches on roof need to be trimmed to prevent ants from using the tree as a pathway. Store fire wood away from house and off the ground. Caulk window seals and other gaps you find to prevent carpenter ants from entering. Keep gutters clean to prevent water damage. Immediately fix any leaks in the roof or plumbing. Check for wood to ground contact around decks and porches. 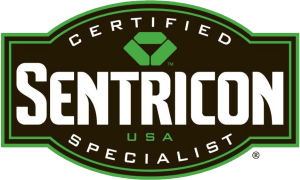 If you have noticed any signs of Carpenter ants please give us a call for a free inspection and estimate.